These are flexible polymer USA made TacWare brand tapered belt loops. This model has a differential opening width to help pull your holster closer to your body. These are designed for OWB style holsters (outside-the-waistband). They are excellent for mounting sheath and holsters on belts and slings from 1.5" to 2" inches. They feature (4) mounting holes for multiple attachment spacing options. They can be mounted with .75" up to 1" center spacing. 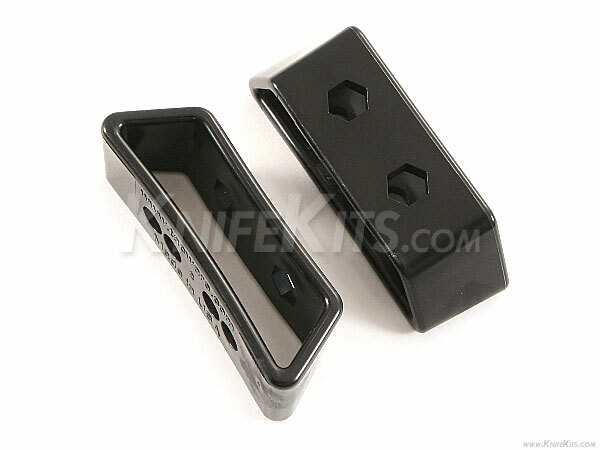 TacWare OWB loops are sold in pairs and come without mounting hardware.